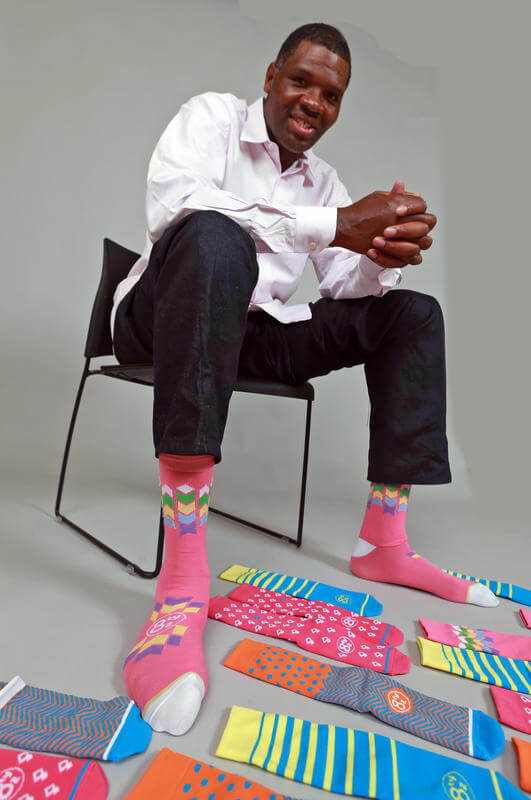 When Celtics assistant coach Walter McCarty hung up his basketball jersey and began to play a role in coaching, his love affair with colorful and unique socks began and quickly became a signature look on game nights. Having a pop of color and fun patterns peek out of the bottom of suit pants is Walter's way of standing out, while having a lot of fun. On game nights you can find him on the sidelines with socks that match his fun, energetic and happy personality. Walter has taken his love for fun, colorful and unique socks to the next level with a new men's luxury sock line, Eighty Two. Eighty Two stands for 82 games in the NBA season. The socks are available in a number of patterns and are 100% cotton. Eighty Two socks adds a conversation piece to any outfit. Currently the socks are only available online and in select Boston retailers. Be like Walt. Step forward in style.